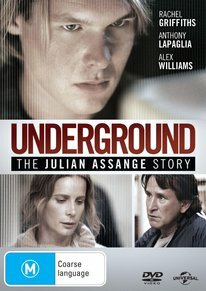 Underground The Julian Assange Story DVD Review The film looks beautiful and has strong performances for the most part, but is much too brief and takes a few too many narrative stumbles along the way. Enjoyable, but not without its flaws. They say that that a journey of a thousand miles begins with a single step. ‘Underground: The Julian Assange Story’ is a slightly fictionalised account of that first step undertaken by the polarising Assange that would eventually lead to notoriety as public enemy number one due to his leaking of classified documents through controversial website WikiLeaks. 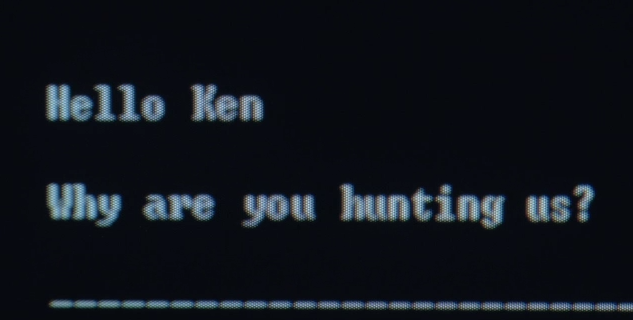 The film focuses on a relatively small period of Assange’s life, eschewing the controversy laden latter part of his life as a political activist to instead tell the story of young Assange’s formative years as an idealistic hacker who breaks in to Military databases for a lark and his subsequent first brush with the law. Helmed by Robert Connolly of ‘Balibo’ fame, ‘Underground’ is a made-for-TV biopic commissioned by Channel Ten, not always an indication of a good film. Thankfully ‘Underground’ rises above made-for-TV conventions, carried by a big name cast, including Rachel Griffiths and Anthony LaPaglia, and heralding the exceptional debut of Alex Williams as the young Julian Assange; expect to see more of this charismatic young actor. In 1989, Assange is living in Melbourne and going by the hacking alias of ‘Mendax’. He forms a group called ‘The International Subversives’ who get their kicks breaking into secure computer systems. Adhering to the mantra of “Just look, don’t steal’, they stumble upon some volatile documents regarding the impending Gulf War and find themselves pegged as major threats to national security by the U.S Government. Tasked by the FBI to find the hackers, the Australian Federal Police attempt to beat this group of technological geniuses at their own game, despite never having used a computer before. 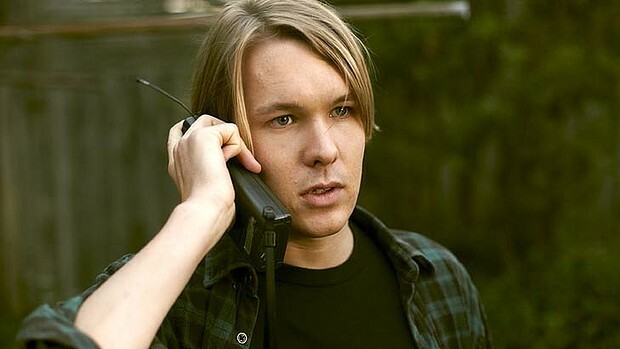 The film also delves into aspects of Assange’s early life, such as the pursuit of his family by a cult and his tentative entry into young love. Unfortunately the scant running time of Ninety minutes barely affords time to delve into the story and the film suffers as a result. Anthony LaPaglia spends the entire film looking confused and wearing a tracksuit and too many plot threads and expositional set ups make for a muddle plot where, by the end, not all that much has really happened. The general consensus seemed to be that the film would have worked better as a mini-series and I am inclined to agree. Restricting focus to Assange’s formative years also presents its own issue; aside from the technological anachronisms, the story of Assange and his cohorts poking around military databases is even less exciting than it sounds, leading to a lot of shots of people typing on computers. The subplot regarding the Assange family’s nomadic existence due to being pursued by the infamous cult ‘The Family’ is handled well and is an aspect of Julian’s life that I would have liked to have explored more, again another occasion where a longer running time would have benefitted the film. All too often made-for-television productions come off as ‘Film’s’ ugly little brother, with lower production values equating to a cheaper aesthetic. Thankfully ‘Underground’ can more than hold its own visually – Scenes have a bluish hue to them that make for a austere feel to the film, imbuing even minor scenes with a tangible ‘weight’. The transfer is high quality and the stark cinematography evokes the distinct look of the brilliant ‘Snowtown’. Presented in 5.1, the audio quality is crisp and clean. Dialogue is clear and levels are consistent. No complaints in either of these areas, really. Subtitles for the hard of hearing are also included. Included on the DVD are a series of behind the scenes vignettes, each one pertaining to a different facet of the production. Whilst informative, if nothing revolutionary, the option to ‘play all’ leads to the protracted title screen and “haunting” piano music being repeated ad nauseum with each featurette, which can get more than a little grating, particularly as some featurettes barely register over a minute of running time. The areas covered are your typical behind the scenes fodder, such as casting, the wardrobe department and the hurdles of maintaining era authenticity throughout the production. A short collection of deleted scenes round out the DVD, unfortunately all are superfluous and you can kind of see why they were trimmed for time. Inevitably siding with Assange, ‘Underground – The Julian Assange Story’ offers up key defining moments in the life of a man both viewed as a political traitor and a saviour of free speech. Your opinion on the man will definitely factor into whether you enjoy the film although it must be said that Connolly’s approach is even handed and by ignoring the more sensational aspects of Assange’s later life you’re afforded a unique insight into the building of the foundations of activism that would later blossom with WikiLeaks. The film looks beautiful and has strong performances for the most part, but is much too brief and takes a few too many narrative stumbles along the way. Enjoyable, but not without its flaws.